Liczba stron: 509 Jest to ujednolicona liczba stron, która ułatwi Ci porównanie długości książek. Każda strona Legimi to 200 słów. JOHN HENRY NEWMAN, B. D.
REV. E. B. PUSEY, B.D. of his long friendship and example. 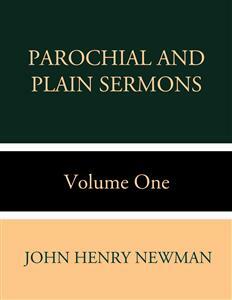 THE Sermons here republished were written and preached at various periods between the years 1825 and 1843. The first six volumes are reprinted from the six volumes of “Parochial Sermons;” the seventh and eighth formed the fifth volume of “Plain Sermons, by Contributors to the Tracts for the Times,” which was the contribution of its Author to that Series. All the Sermons are reprinted from the last Editions of the several volumes, published from time to time by the Messrs. Rivington. They made, in their day, partly through their publication, but yet more, probably, through their living effect upon those who heard them, a deep and lasting impression for good on the Communion for whose especial benefit they were designed; they exercised an extensive influence very far beyond it; and their republication will awaken in many minds vivid and grateful recollections of their first appearance. They met, at that time, very real and great moral, intellectual, and spiritual needs of man,—in giving depth and precision and largeness to his belief and apprehension of the mysteries of God, and seriousness and accuracy to his study and knowledge of himself, of his own nature, with its manifold powers, capacities, and responsibilities, and of his whole relation to the supernatural and unseen. They found a response in the hearts and minds and consciences of those to whom they were addressed, in marvellous proportion to the affectionate and stirring earnestness with which their Author appealed to the conscious or dormant sense of their needs, and his zealous and energetic endeavours, under God’s blessing, to show, in every variety of light, how the grand central Verities of the Christian Dispensation, entrusted as the good “Deposit,” to the Church, were revealed and adapted to supply them. Many things, indeed, contained in these volumes have become, from the very readiness of their first acceptance, and from their gradual reception into the current of religious thought, so familiar, that it requires some retrospect of the time previous to their appearance to appreciate the original freshness with which they brought out the fundamental Articles of the Christian Faith, and their bearing on the formation of the Christian character; and to understand the degree in which they have acted, like leaven, on the mind and language and literature of the Church in this Country, and have marked an era in her History. But, besides their relation to the past, it will be seen in their republication how the spirit which dictated them pierced here and there through the cloud which hung over the future, and how the Author warned us, with somewhat of prophetic forecast, of impending trials and conflicts, and of perplexities and dangers, then only dimly seen or unheeded, of which it has been reserved to the present generation to witness the nearer approach. It might seem to have been his calling at once to warn us of them, and to provide, as best he might, words of guidance and support, and consolation and encouragement under them—an anchor of the soul in the coming storm. They are republished in the fervent hope and belief that like good to that which, by God’s blessing, they have done before, they may, by His mercy, if we be not unworthy of it, do yet again under other circumstances. In conclusion it is right, though scarcely necessary to observe, that the republication of these Sermons by the Editor is not to be considered as equivalent to a re-assertion by their Author of all that they contain; inasmuch as, being printed entire and unaltered, except in the most insignificant particulars, they cannot be free from passages which he certainly now would wish were otherwise, or would, one may be sure, desire to see altered or omitted. But the alternative plainly lies between publishing all or nothing, and it appears more to the glory of God and for the cause of religion, to publish all, than to destroy the acceptableness of the Volumes to those for whom they were written by any omissions and alterations. IN this text it has seemed good to the Holy Spirit to convey a chief truth of religion in a few words. It is this circumstance which makes it especially impressive; for the truth itself is declared in one form or other in every part of Scripture. It is told us again and again, that to make sinful creatures holy was the great end which our Lord had in view in taking upon Him our nature, and thus none but the holy will be accepted for His sake at the last day. The whole history of redemption, the covenant of mercy in all its parts and provisions, attests the necessity of holiness in order to salvation; as indeed even our natural conscience bears witness also. But in the text what is elsewhere implied in history, and enjoined by precept, is stated doctrinally, as a momentous and necessary fact, the result of some awful irreversible law in the nature of things, and the inscrutable determination of the Divine Will. Now we have no right to ask this question. Surely it is quite enough for a sinner to know, that a way has been opened through God’s grace for his salvation, without being informed why that way, and not another way, was chosen by Divine Wisdom. Eternal life is “the gift of God.” Undoubtedly He may prescribe the terms on which He will give it; and if He has determined holiness to be the way of life, it is enough; it is not for us to inquire why He has so determined. Yet the question may be asked reverently, and with a view to enlarge our insight into our own condition and prospects; and in that case the attempt to answer it will be profitable, if it be made soberly. I proceed, therefore, to state one of the reasons, assigned in Scripture, why present holiness is necessary, as the text declares to us, for future happiness. To be holy is, in our Church’s words, to have “the true circumcision of the Spirit;” that is, to be separate from sin, to hate the works of the world, the flesh, and the devil; to take pleasure in keeping God’s commandments; to do things as He would have us do them; to live habitually as in the sight of the world to come, as if we had broken the ties of this life, and were dead already. “Why cannot we be saved without possessing such a frame and temper of mind? I answer as follows: That, even supposing a man of unholy life were suffered to enter heaven, he would not be happy there; so that it would be no mercy to permit him to enter. We are apt to deceive ourselves, and to consider heaven a place like this earth; I mean, a place where every one may choose and take his own pleasure. We see that in this world, active men have their own enjoyments, and domestic men have theirs; men of literature, of science, of political talent, have their respective pursuits and pleasures. Hence we are led to act as if it will be the same in another world. The only difference we put between this world and the next, is that here, (as we know well,) men are not always sure, but there, we suppose they will be always sure, of obtaining what they seek after. And accordingly we conclude, that any man, whatever his habits, tastes, or manner of life, if once admitted into heaven, would be happy there. Not that we altogether deny, that some preparation is necessary for the next world; but we do not estimate its real extent and importance. We think we can reconcile ourselves to God when we will; as if nothing were required in the case of men in general, but some temporary attention, more than ordinary, to our religious duties,—some strictness, during our last sickness, in the services of the Church, as men of business arrange their letters and papers on taking a journey or balancing an account. But an opinion like this, though commonly acted on, is refuted as soon as put into words. For heaven, it is plain from Scripture, is not a place where many different and discordant pursuits can be carried on at once, as is the case in this world. Here every man can do his own pleasure, but there he must do God’s pleasure. It would be presumption to attempt to determine the employments of that eternal life which good men are to pass in God’s presence, or to deny that that state which eye hath not seen, nor ear heard, nor mind conceived, may comprise an infinite variety of pursuits and occupations. Still so far we are distinctly told, that that future life will be spent in God’s presence, in a sense which does not apply to our present life; so that it may be best described as an endless and uninterrupted worship of the Eternal Father, Son, and Spirit. “They serve Him day and night in His temple, and He that sitteth on the throne shall dwell among them.… The Lamb which is in the midst of the throne shall feed them, and shall lead them unto living fountains of waters.” Again, “The city had no need of the sun, neither of the moon to shine in it, for the glory of God did lighten it, and the Lamb is the light thereof. And the nations of them which are saved shall walk in the light of it, and the kings of the earth do bring their glory and honour into it11.” These passages from St. John are sufficient to remind us of many others. Heaven then is not like this world; I will say what it is much more like,—a church. For in a place of public worship no language of this world is heard; there are no schemes brought forward for temporal objects, great or small; no information how to strengthen our worldly interests, extend our influence, or establish our credit. These things indeed may be right in their way, so that we do not set our hearts upon them; still (I repeat), it is certain that we hear nothing of them in a church. Here we hear solely and entirely of God. We praise Him, worship Him, sing to Him, thank Him, confess to Him, give ourselves up to Him, and ask His blessing. And therefore, a church is like heaven; viz. because both in the one and the other, there is one single sovereign subject—religion—brought before us. Supposing, then, instead of it being said that no irreligious man could serve and attend on God in heaven (or see Him, as the text expresses it), we were told that no irreligious man could worship, or spiritually see Him in church; should we not at once perceive the meaning of the doctrine? viz. that, were a man to come hither, who had suffered his mind to grow up in its own way, as nature or chance determined, without any deliberate habitual effort after truth and purity, he would find no real pleasure here, but would soon get weary of the place; because, in this house of God, he would hear only of that one subject which he cared little or nothing about, and nothing at all of those things which excited his hopes and fears, his sympathies and energies. If then a man without religion (supposing it possible) were admitted into heaven, doubtless he would sustain a great disappointment. Before, indeed, he fancied that he could be happy there; but when he arrived there, he would find no discourse but that which he had shunned on earth, no pursuits but those he had disliked or despised, nothing which bound him to aught else in the universe, and made him feel at home, nothing which he could enter into and rest upon. He would perceive himself to be an isolated being, cut away by Supreme Power from those objects which were still entwined around his heart. Nay, he would be in the presence of that Supreme Power, whom he never on earth could bring himself steadily to think upon, and whom now he regarded only as the destroyer of all that was precious and dear to him. Ah! he could not bear the face of the Living God; the Holy God would be no object of joy to him. “Let us alone! What have we to do with thee?” is the sole thought and desire of unclean souls, even while they acknowledge His majesty. None but the holy can look upon the Holy One; without holiness no man can endure to see the Lord. When, then, we think to take part in the joys of heaven without holiness, we are as inconsiderate as if we supposed we could take an interest in the worship of Christians here below without possessing it in our measure. A careless, a sensual, an unbelieving mind, a mind destitute of the love and fear of God, with narrow views and earthly aims, a low standard of duty, and a benighted conscience, a mind contented with itself, and unresigned to God’s will, would feel as little pleasure, at the last day, at the words, “Enter into the joy of thy Lord,” as it does now at the words, “Let us pray.” Nay, much less, because, while we are in a church, we may turn our thoughts to other subjects, and contrive to forget that God is looking on us; but that will not be possible in heaven. Nay, I will venture to say more than this;—it is fearful, but it is right to say it;—that if we wished to imagine a punishment for an unholy, reprobate soul, we perhaps could not fancy a greater than to summon it to heaven. Heaven would be hell to an irreligious man. We know how unhappy we are apt to feel at present, when alone in the midst of strangers, or of men of different tastes and habits from ourselves. How miserable, for example, would it be to have to live in a foreign land, among a people whose faces we never saw before, and whose language we could not learn. And this is but a faint illustration of the loneliness of a man of earthly dispositions and tastes, thrust into the society of saints and angels. How forlorn would he wander through the courts of heaven! He would find no one like himself; he would see in every direction the marks of God’s holiness, and these would make him shudder. He would feel himself always in His presence. He could no longer turn his thoughts another way, as he does now, when conscience reproaches him. He would know that the Eternal Eye was ever upon him; and that Eye of holiness, which is joy and life to holy creatures, would seem to him an Eye of wrath and punishment. God cannot change His nature. Holy He must ever be. But while He is holy, no unholy soul can be happy in heaven. Fire does not inflame iron, but it inflames straw. It would cease to be fire if it did not. And so heaven itself would be fire to those, who would fain escape across the great gulf from the torments of hell. The finger of Lazarus would but increase their thirst. The very “heaven that is over their head” will be “brass” to them. And now I have partly explained why it is that holiness is prescribed to us as the condition on our part for our admission into heaven. It seems to be necessary from the very nature of things. We do not see how it could be otherwise. Now then I will mention two important truths which seem to follow from what has been said. 1. If a certain character of mind, a certain state of the heart and affections, be necessary for entering heaven, our actions will avail for our salvation, chiefly as they tend to produce or evidence this frame of mind. Good works (as they are called) are required, not as if they had any thing of merit in them, not as if they could of themselves turn away God’s anger for our sins, or purchase heaven for us, but because they are the means, under God’s grace, of strengthening and showing forth that holy principle which God implants in the heart, and without which (as the text tells us) we cannot see Him. The more numerous are our acts of charity, self-denial, and forbearance, of course the more will our minds be schooled into a charitable, self-denying, and forbearing temper. The more frequent are our prayers, the more humble, patient, and religious are our daily deeds, this communion with God, these holy works, will be the means of making our hearts holy, and of preparing us for the future presence of God. Outward acts, done on principle, create inward habits. I repeat, the separate acts of obedience to the will of God, good works as they are called, are of service to us, as gradually severing us from this world of sense, and impressing our hearts with a heavenly character. It is plain, then, what works are not of service to our salvation;—all those which either have no effect upon the heart to change it, or which have a bad effect. What then must be said of those who think it an easy thing to please God, and to recommend themselves to Him; who do a few scanty services, call these the walk of faith, and are satisfied with them? Such men, it is too evident, instead of being themselves profited by their acts, such as they are, of benevolence, honesty, or justice, may be (I might even say) injured by them. For these very acts, even though good in themselves, are made to foster in these persons a bad spirit, a corrupt state of heart; viz. self-love, self-conceit, self-reliance, instead of tending to turn them from this world to the Father of spirits. In like manner, the mere outward acts of coming to church, and saying prayers, which are, of course, duties imperative upon all of us, are really serviceable to those only who do them in a heavenward spirit. Because such men only use these good deeds to the improvement of the heart; whereas even the most exact outward devotion avails not a man, if it does not improve it. 2. But observe what follows from this. If holiness be not merely the doing a certain number of good actions, but is an inward character which follows, under God’s grace, from doing them, how far distant from that holiness are the multitude of men! They are not yet even obedient in outward deeds, which is the first step towards possessing it. They have even to learn to practise good works, as the means of changing their hearts, which is the end. It follows at once, even though Scripture did not plainly tell us so, that no one is able to prepare himself for heaven, that is, make himself holy, in a short time;—at least we do not see how it is possible; and this, viewed merely as a deduction of the reason, is a serious thought. Yet, alas! as there are persons who think to be saved by a few scanty performances, so there are others who suppose they may be saved all at once by a sudden and easily acquired faith. Most men who are living in neglect of God, silence their consciences, when troublesome, with the promise of repenting some future day. How often are they thus led on till death surprises them! But we will suppose they do begin to repent when that future day comes. Nay, we will even suppose that Almighty God were to forgive them, and to admit them into His holy heaven. Well, but is nothing more requisite? are they in a fit state to do Him service in heaven? is not this the very point I have been so insisting on, that they are not in a fit state? has it not been shown that, even if admitted there without a change of heart, they would find no pleasure in heaven? and is a change of heart wrought in a day? Which of our tastes or likings can we change at our will in a moment? Not the most superficial. Can we then at a word change the whole frame and character of our minds? Is not holiness the result of many patient, repeated efforts after obedience, gradually working on us, and first modifying and then changing our hearts? We dare not, of course, set bounds to God’s mercy and power in cases of repentance late in life, even where He has revealed to us the general rule of His moral governance; yet, surely, it is our duty ever to keep steadily before us, and act upon, those general truths which His Holy Word has declared. His Holy Word in various ways warns us, that, as no one will find happiness in heaven, who is not holy, so no one can learn to be so, in a short time, and when he will. It implies it in the text, which names a qualification, which we know in matter of fact does ordinarily take time to gain. It propounds it clearly, though in figure, in the parable of the wedding garment, in which inward sanctification is made a condition distinct from our acceptance of the proffer of mercy, and not negligently to be passed over in our thoughts as if a necessary consequence of it; and in that of the ten virgins, which shows us that we must meet the bridegroom with the oil of holiness, and that it takes time to procure it. And it solemnly assures us in St. Paul’s Epistles, that it is possible so to presume on Divine grace, as to let slip the accepted time, and be sealed even before the end of life to a reprobate mind21. I wish to speak to you, my brethren, not as if aliens from God’s mercies, but as partakers of His gracious covenant in Christ; and for this reason in especial peril, since those only can incur the sin of making void His covenant, who have the privilege of it. Yet neither on the other hand do I speak to you as wilful and obstinate sinners, exposed to the imminent risk of forfeiting, or the chance of having forfeited, your hope of heaven. But I fear there are those, who, if they dealt faithfully with their consciences, would be obliged to own that they had not made the service of God their first and great concern; that their obedience, so to call it, has been a matter of course, in which the heart has had no part; that they have acted uprightly in worldly matters chiefly for the sake of their worldly interest. I fear there are those, who, whatever be their sense of religion, still have such misgivings about themselves, as lead them to make resolve to obey God more exactly some future day, such misgivings as convict them of sin, though not enough to bring home to them its heinousness or its peril. Such men are trifling with the appointed season of mercy. To obtain the gift of holiness is the work of a life. No man will ever be perfect here, so sinful is our nature. Thus, in putting off the day of repentance, these men are reserving for a few chance years, when strength and vigour are gone, that work for which a whole life would not be enough. That work is great and arduous beyond expression. There is much of sin remaining even in the best of men, and “if the righteous scarcely be saved, where shall the ungodly and the sinner appear31?” Their doom may be fixed any moment; and though this thought should not make a man despair to-day, yet it should ever make him tremble for to-morrow. Perhaps, however, others may say:—“We know something of the power of religion—we love it in a measure—we have many right thoughts—we come to church to pray; this is a proof that we are prepared for heaven:—we are safe, and what has been said does not apply to us.” But be not you, my brethren, in the number of these. One principal test of our being true servants of God is our wishing to serve Him better; and be quite sure that a man who is contented with his own proficiency in Christian holiness, is at best in a dark state, or rather in great peril. If we are really imbued with the grace of holiness, we shall abhor sin as something base, irrational, and polluting. Many men, it is true, are contented with partial and indistinct views of religion, and mixed motives. Be you content with nothing short of perfection; exert yourselves day by day to grow in knowledge and grace; that, if so be, you may at length attain to the presence of Almighty God. Lastly; while we thus labour to mould our hearts after the pattern of the holiness of our Heavenly Father, it is our comfort to know, what I have already implied, that we are not left to ourselves, but that the Holy Ghost is graciously present with us, and enables us to triumph over, and to change our own minds. It is a comfort and encouragement, while it is an anxious and awful thing, to know that God works in and through us41. We are the instruments, but we are only the instruments, of our own salvation. Let no one say that I discourage him, and propose to him a task beyond his strength. All of us have the gifts of grace pledged to us from our youth up. We know this well; but we do not use our privilege. We form mean ideas of the difficulty, and in consequence never enter into the greatness of the gifts given us to meet it. Then afterwards, if perchance we gain a deeper insight into the work we have to do, we think God a hard master, who commands much from a sinful race. Narrow, indeed, is the way of life, but infinite is His love and power who is with the Church, in Christ’s place, to guide us along it. I SUPPOSE there is no tolerably informed Christian but considers he has a correct notion of the difference between our religion and the paganism which it supplanted. Every one, if asked what it is we have gained by the Gospel, will promptly answer, that we have gained the knowledge of our immortality, of our having souls which will live for ever; that the heathen did not know this, but that Christ taught it, and that His disciples know it. Every one will say, and say truly, that this was the great and solemn doctrine which gave the Gospel a claim to be heard when first preached, which arrested the thoughtless multitudes, who were busied in the pleasures and pursuits of this life, awed them with the vision of the life to come, and sobered them till they turned to God with a true heart. It will be said, and said truly, that this doctrine of a future life was the doctrine which broke the power and the fascination of paganism. The poor benighted heathen were engaged in all the frivolities and absurdities of a false ritual, which had obscured the light of nature. They knew God, but they forsook Him for the inventions of men; they made protectors and guardians for themselves; and had “gods many and lords many51.” They had their profane worship, their gaudy processions, their indulgent creed, their easy observances, their sensual festivities, their childish extravagances, such as might suitably be the religion of beings who were to live for seventy or eighty years, and then die once for all, never to live again. “Let us eat and drink, for to-morrow we die,” was their doctrine and their rule of life. “To-morrow we die;”—this the Holy Apostles admitted. They taught so far as the heathen; “To-morrow we die;” but then they added, “And after death the judgment;”—judgment upon the eternal soul, which lives in spite of the death of the body. And this was the truth, which awakened men to the necessity of having a better and deeper religion than that which had spread over the earth, when Christ came,—which so wrought upon them that they left that old false worship of theirs, and it fell. Yes! though throned in all the power of the world, a sight such as eye had never before seen, though supported by the great and the many, the magnificence of kings, and the stubbornness of people, it fell. Its ruins remain scattered over the face of the earth; the shattered works of its great upholder, that fierce enemy of God, the Pagan Roman Empire. Those ruins are found even among ourselves, and show how marvellously great was its power, and therefore how much more powerful was that which broke its power; and this was the doctrine of the immortality of the soul. So entire is the revolution which is produced among men, wherever this high truth is really received. I have said that every one of us is able fluently to speak of this doctrine, and is aware that the knowledge of it forms the fundamental difference between our state and that of the heathen. And yet, in spite of our being able to speak about it and our “form of knowledge61” (as St. Paul terms it), there seems scarcely room to doubt, that the greater number of those who are called Christians in no true sense realize it in their own minds at all. Indeed, it is a very difficult thing to bring home to us, and to feel, that we have souls; and there cannot be a more fatal mistake than to suppose we see what the doctrine means, as soon as we can use the words which signify it. So great a thing is it to understand that we have souls, that the knowing it, taken in connexion with its results, is all one with being serious, i. e. truly religious. To discern our immortality is necessarily connected with fear and trembling and repentance, in the case of every Christian. Who is there but would be sobered by an actual sight of the flames of hell fire and the souls therein hopelessly enclosed? “Would not all his thoughts be drawn to that awful sight, so that he would stand still gazing fixedly upon it, and forgetting every thing else; seeing nothing else, hearing nothing, engrossed with the contemplation of it; and when the sight was withdrawn, still having it fixed in his memory, so that he would be henceforth dead to the pleasures and employments of this world, considered in themselves, thinking of them only in their reference to that fearful vision? This would be the overpowering effect of such a disclosure, whether it actually led a man to repentance or not. And thus absorbed in the thought of the life to come are they who really and heartily receive the words of Christ and His Apostles. Yet to this state of mind, and therefore to this true knowledge, the multitude of men called Christians are certainly strangers; a thick veil is drawn over their eyes; and in spite of their being able to talk of the doctrine, they are as if they never had heard of it. They go on just as the heathen did of old: they eat, they drink; or they amuse themselves in vanities, and live in the world, without fear and without sorrow, just as if God had not declared that their conduct in this life would decide their destiny in the nest; just as if they either had no souls, or had nothing or little to do with the saving of them, which was the creed of the heathen. Now let us consider what it is to bring home to ourselves that we have souls, and in what the especial difficulty of it lies; for this may be of use to us in our attempt to realize that awful truth. We are from our birth apparently dependent on things about us. We see and feel that we could not live or go forward without the aid of man. To a child this world is every thing: he seems to himself a part of this world,—a part of this world, in the same sense in which a branch is part of a tree; he has little notion of his own separate and independent existence: that is, he has no just idea he has a soul. And if he goes through life with his notions unchanged, he has no just notion, even to the end of life, that he has a soul. He views himself merely in his connexion with this world, which is his all; he looks to this world for his good, as to an idol; and when he tries to look beyond this life, he is able to discern nothing in prospect, because he has no idea of any thing, nor can fancy any thing, but this life. And if he is obliged to fancy something, he fancies this life over again; just as the heathen, when they reflected on those traditions of another life, which were floating among them, could but fancy the happiness of the blessed to consist in the enjoyment of the sun, and the sky, and the earth, as before, only as if these were to be more splendid than they are now. To understand that we have souls, is to feel our separation from things visible, our independence of them, our distinct existence in ourselves, our individuality, our power of acting for ourselves this way or that way, our accountableness for what we do. These are the great truths which lie wrapped up indeed even in a child’s mind, and which God’s grace can unfold there in spite of the influence of the external world; but at first this outward world prevails. We look off from self to the things around us, and forget ourselves in them. Such is our state,—a depending for support on the reeds which are no stay, and overlooking our real strength,—at the time when God begins His process of reclaiming us to a truer view of our place in His great system of providence. And when He visits us, then in a little while there is a stirring within us. The unprofitableness and feebleness of the things of this world are forced upon our minds; they promise but cannot perform, they disappoint us. Or, if they do perform what they promise, still (so it is) they do not satisfy us. We still crave for something, we do not well know what; but we are sure it is something which the world has not given us. And then its changes are so many, so sudden, so silent, so continual. It never leaves changing; it goes on to change, till we are quite sick at heart:—then it is that our reliance on it is broken. It is plain we cannot continue to depend upon it, unless we keep pace with it, and go on changing too; but this we cannot do. We feel that, while it changes, we are one and the same; and thus, under God’s blessing, we come to have some glimpse of the meaning of our independence of things temporal, and our immortality. And should it so happen that misfortunes come upon us, (as they often do,) then still more are we led to understand the nothingness of this world; then still more are we led to distrust it, and are weaned from the love of it, till at length it floats before our eyes merely as some idle veil, which, notwithstanding its many tints, cannot hide the view of what is beyond it;—and we begin, by degrees, to perceive that there are but two beings in the whole universe, our own soul, and the God who made it. Sublime, unlooked-for doctrine, yet most true! To every one of us there are but two beings in the whole world, himself and God; for, as to this outward scene, its pleasures and pursuits, its honours and cares, its contrivances, its personages, its kingdoms, its multitude of busy slaves, what are they to us? nothing—no more than a show:—“The world passeth away and the lust thereof.” And as to those others nearer to us, who are not to be classed with the vain world, I mean our friends and relations, whom we are right in loving, these, too, after all, are nothing to us here. They cannot really help or profit us; we see them, and they act upon us, only (as it were) at a distance, through the medium of sense; they cannot get at our souls; they cannot enter into our thoughts, or really be companions to us. In the next world it will, through God’s mercy, be otherwise; but here we enjoy, not their presence, but the anticipation of what one day shall be; so that, after all, they vanish before the clear vision we have, first, of our own existence, next of the presence of the great God in us, and over us, as our Governor and Judge, who dwells in us by our conscience, which is His representative. And now consider what a revolution will take place in the mind that is not utterly reprobate, in proportion as it realizes this relation between itself and the most high God. We never in this life can fully understand what is meant by our living for ever, but we can understand what is meant by this world’s not living for ever, by its dying never to rise again. And learning this, we learn that we owe it no service, no allegiance; it has no claim over us, and can do us no material good nor harm. On the other hand, the law of God written on our hearts bids us serve Him, and partly tells us how to serve Him, and Scripture completes the precepts which nature began. And both Scripture and conscience tell us we are answerable for what we do, and that God is a righteous Judge; and, above all, our Saviour, as our visible Lord God, takes the place of the world as the Only-begotten of the Father, having shown Himself openly, that we may not say that God is hidden. And thus a man is drawn forward by all manner of powerful influences to turn from things temporal to things eternal, to deny himself, to take up his cross and follow Christ. For there are Christ’s awful threats and warnings to make him serious, His precepts to attract and elevate him, His promises to cheer him, His gracious deeds and sufferings to humble him to the dust, and to bind his heart once and for ever in gratitude to Him who is so surpassing in mercy. All these things act upon him; and, as truly as St. Matthew rose from the receipt of custom when Christ called, heedless what bystanders would say of him, so they who, through grace, obey the secret voice of God, move onward contrary to the world’s way, and careless what mankind may say of them, as understanding that they have souls, which is the one thing they have to care about. Let us, then, seriously question ourselves, and beg of God grace to do so honestly, whether we are loosened from the world; or whether, living as dependent on it, and not on the Eternal Author of our being, we are in fact taking our portion with this perishing outward scene, and ignorant of our having souls. I know very well that such thoughts are distasteful to the minds of men in general. Doubtless many a one there is, who, on hearing doctrines such as I have been insisting on, says in his heart, that religion is thus made gloomy and repulsive; that he would attend to a teacher who spoke in a less severe way; and that in fact Christianity was not intended to be a dark burdensome law, but a religion of cheerfulness and joy. This is what young people think, though they do not express it in this argumentative form. They view a strict life as something offensive and hateful; they turn from the notion of it. And then, as they get older and see more of the world, they learn to defend their opinion, and express it more or less in the way in which I have just put it. They hate and oppose the truth, as it were upon principle; and the more they are told that they have souls, the more resolved they are to live as if they had not souls. But let us take it as a clear point from the first, and not to be disputed, that religion must ever be difficult to those who neglect it. All things that we have to learn are difficult at first; and our duties to God, and to man for His sake, are peculiarly difficult, because they call upon us to take up a new life, and quit the love of this world for the next. It cannot be avoided; we must fear and be in sorrow, before we can rejoice. The Gospel must be a burden before it comforts and brings us peace. No one can have his heart cut away from the natural objects of its love, without pain during the process and throbbings afterwards. This is plain from the nature of the case; and, however true it be, that this or that teacher may be harsh and repulsive, yet he cannot materially alter things. Religion is in itself at first a weariness to the worldly mind, and it requires an effort and a self-denial in every one who honestly determines to be religious. But there are other persons who are far more hopeful than those I have been speaking of, who, when they hear repentance and newness of life urged on them, are frightened at the thought of the greatness of the work; they are disheartened at being told to do so much. Now let it be well understood, that to realize our own individual accountableness and immortality, of which I have been speaking, is not required of them all at once. I never said a person was not in a hopeful way who did not thus fully discern the world’s vanity and the worth of his soul. But a man is truly in a very desperate way who does not wish, who does not try, to discern and feel all this. I want a man on the one hand to confess his immortality with his lips, and on the other, to live as if he tried to understand his own words, and then he is in the way of salvation; he is in the way towards heaven, even though he has not yet fully emancipated himself from the fetters of this world. Indeed none of us (of course) are entirely loosened from this world. We all use words, in speaking of our duties, higher and fuller than we really understand. No one entirely realizes what is meant by his having a soul; even the best of men is but in a state of progress towards the simple truth; and the most weak and ignorant of those who seek after it cannot but be in progress. And therefore no one need be alarmed at hearing that he has much to do before he arrives at a right view of his own condition in God’s sight, i. e. at faith; for we all have much to do, and the great point is, are we willing to do it? Oh that there were such an heart in us, to put aside this visible world, to desire to look at it as a mere screen between us and God, and to think of Him who has entered in beyond the veil, and who is watching us, trying us, yes, and blessing, and influencing, and encouraging us towards good, day by day! Yet, alas, how do we suffer the mere varying circumstances of every day to sway us! How difficult it is to remain firm and in one mind under the seductions or terrors of the world! We feel variously according to the place, time, and people we are with. We are serious on Sunday, and we sin deliberately on Monday. We rise in the morning with remorse at our offences and resolutions of amendment, yet before night we have transgressed again. The mere change of society puts us into a new frame of mind; nor do we sufficiently understand this great weakness of ours, or seek for strength where alone it can be found, in the Unchangeable God. What will be our thoughts in that day, when at length this outward world drops away altogether, and we find ourselves where we ever have been, in His presence, with Christ standing at His right hand! On the contrary, what a blessed discovery is it to those who make it, that this world is but vanity and without substance; and that really they are ever in their Saviour’s presence. This is a thought which it is scarcely right to enlarge upon in a mixed congregation, where there may be some who have not given their hearts to God; for why should the privileges of the true Christian be disclosed to mankind at large, and sacred subjects, which are his peculiar treasure, be made common to the careless liver? He knows his blessedness, and needs not another to tell it him. He knows in whom he has believed; and in the hour of danger or trouble he knows what is meant by that peace, which Christ did not explain when He gave it to His Apostles, but merely said it was not as the world could give. Now then let us try, by His grace, to make the text a living word to the benefit of our souls. Our Lord says, “If ye know, happy are ye, if ye do.” Let us consider how we commonly read Scripture. We read a passage in the Gospels, for instance, a parable perhaps, or the account of a miracle; or we read a chapter in the Prophets, or a Psalm. Who is not struck with the beauty of what he reads? I do not wish to speak of those who read the Bible only now and then, and who will in consequence generally find its sacred pages dull and uninteresting; but of those who study it. Who of such persons does not see the beauty of it? for instance, take the passage which introduces the text. Christ had been washing His disciples’ feet. He did so at a season of great mental suffering; it was just before He was seized by His enemies to be put to death. The traitor, His familiar friend, was in the room. All of His disciples, even the most devoted of them, loved Him much less than they thought they did. In a little while they were all to forsake Him and flee. This He foresaw; yet He calmly washed their feet, and then He told them that He did so by way of an example; that they should be full of lowly services one to the other, as He to them; that he among them was in fact the highest who put himself the lowest. This He had said before; and His disciples must have recollected it. Perhaps they might wonder in their secret hearts why He repeated the lesson; they might say to themselves, “We have heard this before.” They might be surprised that His significant action, His washing their feet, issued in nothing else than a precept already delivered, the command to be humble. At the same time they would not be able to deny, or rather they would deeply feel, the beauty of His action. Nay, as loving Him (after all) above all things, and reverencing Him as their Lord and Teacher, they would feel an admiration and awe of Him; but their minds would not rest sufficiently on the practical direction of the instruction vouchsafed to them. They knew the truth, and they admired it; they did not observe what it was they lacked. Such may be considered their frame of mind; and hence the force of the text, delivered primarily against Judas Iscariot, who knew and sinned deliberately against the truth; secondarily referring to all the Apostles, and St. Peter chiefly, who promised to be faithful, but failed under the trial; lastly, to us all,—all of us here assembled, who hear the word of life continually, know it, admire it, do all but obey it. Is it not so? is not Scripture altogether pleasant except in its strictness? do not we try to persuade ourselves, that to feel religiously, to confess our love of religion, and to be able to talk of religion, will stand in the place of careful obedience, of that self-denial which is the very substance of true practical religion? Alas! that religion which is so delightful as a vision, should be so distasteful as a reality. Yet so it is, whether we are aware of the fact or not. 1. The multitude of men even who profess religion are in this state of mind. We will take the case of those who are in better circumstances than the mass of the community. They are well educated and taught; they have few distresses in life, or are able to get over them by the variety of their occupations, by the spirits which attend good health, or at least by the lapse of time. They go on respectably and happily, with the same general tastes and habits which they would have had if the Gospel had not been given them. They have an eye to what the world thinks of them; are charitable when it is expected. They are polished in their manners, kind from natural disposition or a feeling of propriety. Thus their religion is based upon self and the world, a mere civilization; the same (I say), as it would have been in the main, (taking the state of society as they find it,) even supposing Christianity were not the religion of the land. But it is; and let us go on to ask, how do they in consequence feel towards it? They accept it, they add it to what they are, they ingraft it upon the selfish and worldly habits of an unrenewed heart. They have been taught to revere it, and to believe it to come from God; so they admire it, and accept it as a rule of life, so far forth as it agrees with the carnal principles which govern them. So far as it does not agree, they are blind to its excellence and its claims. They overlook or explain away its precepts. They in no sense obey because it commands. They do right when they would have done right had it not commanded; however, they speak well of it, and think they understand it. Sometimes, if I may continue the description, they adopt it into a certain refined elegance of sentiments and manners, and then the irreligion is all that is graceful, fastidious, and luxurious. They love religious poetry and eloquent preaching. They desire to have their feelings roused and soothed, and to secure a variety and relief in that eternal subject which is unchangeable. They tire of its simplicity, and perhaps seek to keep up their interest in it by means of religious narratives, fictitious or embellished, or of news from foreign countries, or of the history of the prospects or successes of the Gospel; thus perverting what is in itself good and innocent. This is their state of mind at best; for more commonly they think it enough merely to show some slight regard for the subject of religion; to attend its services on the Lord’s day, and then only once, and coldly to express an approbation of it. But of course every description of such persons can be but general; for the shades of character are so varied and blended in individuals, as to make it impossible to give an accurate picture, and often very estimable persons and truly good Christians are partly infected with this bad and earthly spirit.